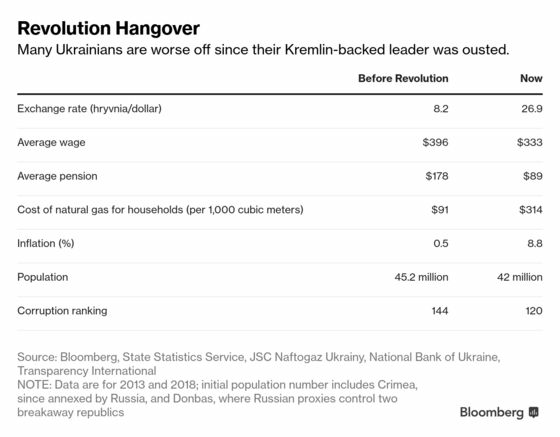 (Bloomberg) -- After two uprisings, perpetual promises to end corruption and only a distant prospect of European Union membership, frustration is consuming Ukraine as it prepares to choose its next leader. The March 31 vote pits the incumbent president, billionaire confectionery magnate Petro Poroshenko, against former Prime Minister Yulia Tymoshenko and front-runner Volodymyr Zelenskiy, a television comic with no political experience. A runoff will take place three weeks later. There was an air of hope in 2014 following the country’s second revolution in a decade. In overthrowing the Kremlin-backed leader, demonstrators locked the former Soviet republic on course toward European integration supported by staunch Western backing. Instead, anger at the revolution’s broken promises will shape the election. Living standards have fallen and a war with Russian separatists rumbles on in the east, trapping Ukraine in a broader east-west geopolitical tussle that’s reignited Cold War hostilities. 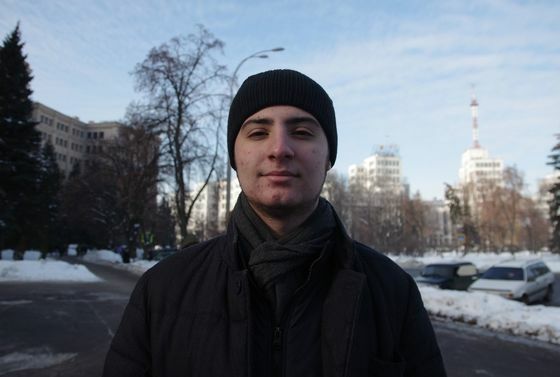 Hundreds of thousands of citizens have left for other parts of eastern Europe. Conversations across the country and beyond found voters who have endured a deep recession and a currency devaluation are now wondering how long before the U.S. and western Europe lose interest in their beleaguered country. 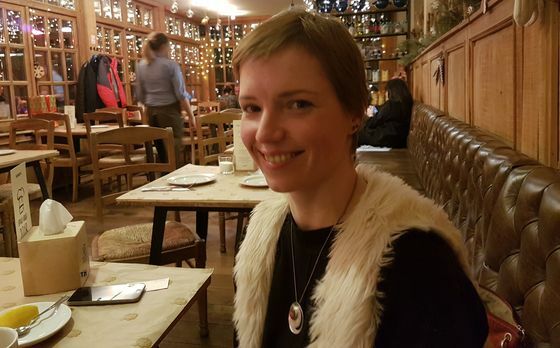 “Visa-free travel was a huge deal for me,” says Anastasia Vavarina, 35, an artist and jewelry designer in the city of Odessa, where ethnic Russians make up more than a quarter of the population. She was speaking about the freedom to head to the EU and back. “We’re a big country and we’re sick with corruption. I’ve tried to get away from it – I gave up salaried work and set up my own company. But I still have to deal with corruption. 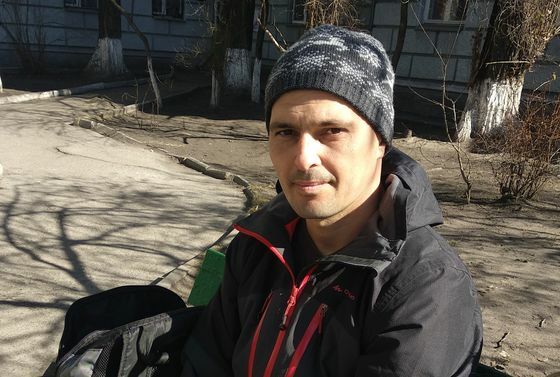 “Of course, living standards have deteriorated, but it could have been worse – the country could have fallen apart,” says Oleksandr Butskrikhidze, 19, a student in Kharkiv, 30 kilometers from the Russian border. 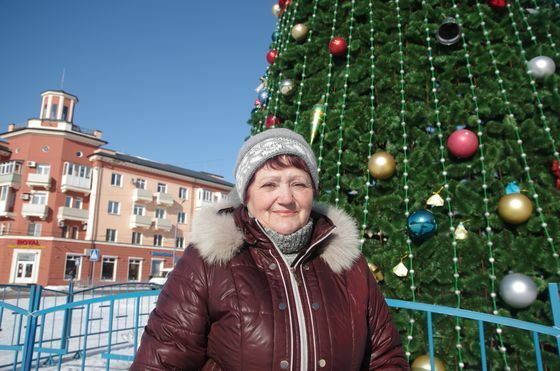 “I’m glad Poroshenko stopped the war, it could have expanded further. It could easily have reached Kharkiv and even Kiev. 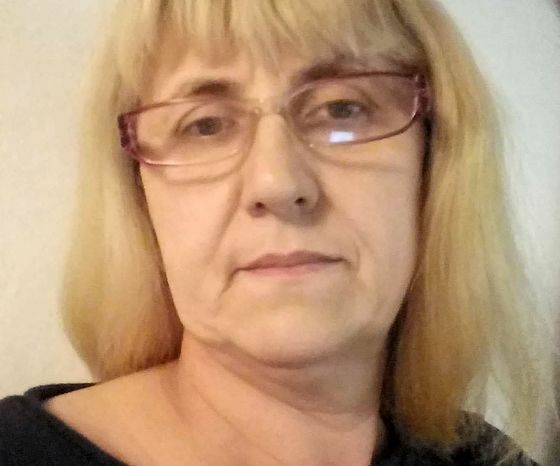 “Coming to Poland 19 years ago like my mother did, I really hoped I wouldn’t need to do this physical work for so many years as things at home would change for the better and I’d be able to have a normal life back there,” says Halina Krawchenko, 44, a cleaner in Warsaw. “I actually really hoped the revolution would be my way home but every year things just get worse. We’re left with hopelessness and war.